← Happy Thanksgiving from Nature’s Corner!! 20% OFF Local Products Tomorrow! 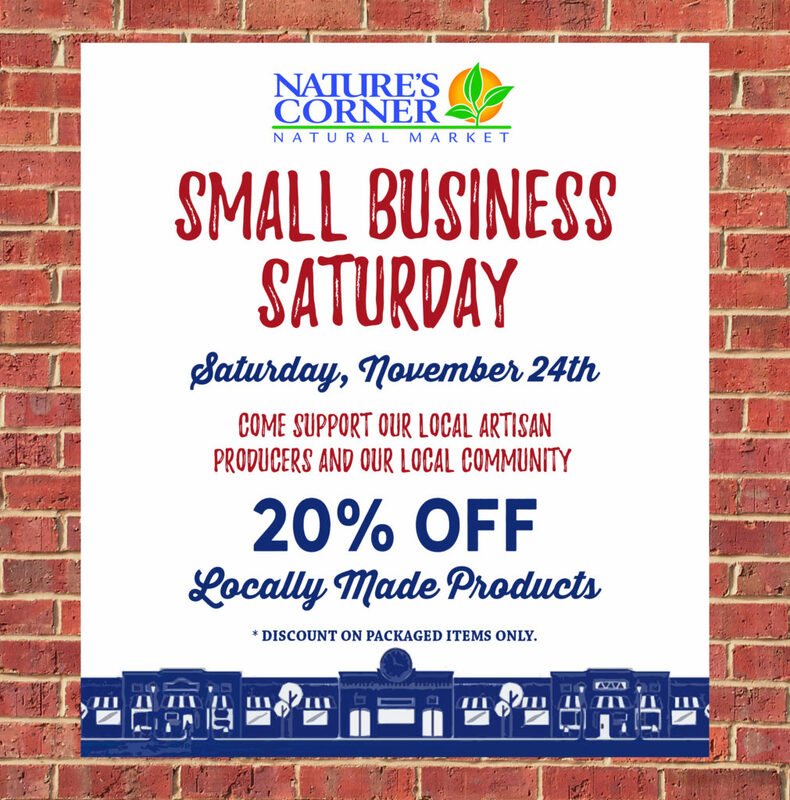 Our annual Small Business Saturday Sale is TOMORROW, Saturday, November 24th, here at The Corner! All locally made packaged items in the store will be 20% OFF! Come on in and support our local artisan producers and our local Community.